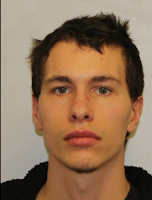 CUBA -- A 24-year-old Pennsylvania man was charged Sunday with fourth-degree criminal possession of a weapon and seventh-degree criminal possession of a controlled substance following a traffic stop on I-86. According to New York State Police, patrols stopped Esteven Dejesus for a speeding violation. While interviewing Dejesus, Troopers observed a stun gun inside the vehicle. During a subsequent probable cause search of the vehicle, Troopers located Ocycotin. Dejesus was processed, and released on an appearance ticket to reappear in the Cuba Town Court at a later date.